Is the Bearsville Corridor Being Opened for Development? up to date here is a recap. Chis Collins mounted a creditable but unsuccessful write-in campaign in the general election. Needless to day to it has been a battle after battle against the reactionary Town Board. under the control of Moran and Rosenblum. Still one Progressive remains on he town Board. That is Councilman Jay Wenk. He is up for re-election this year. 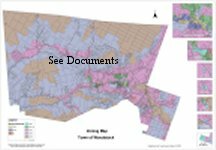 Thanks to the tenacity and diligence of Councilman Chris Collins the Town Board finally voted to accept the COMEAU Easement with a minor revision to the amendment proposed by the Woodstock Land Conservancy. After a 90 minute presentation by attorney Steve Barshov on his legal opinions concerning issues on several aspects of the easement all the town board members except Councilperson Terri Rosenblum were satisfied. She has always tried to delay the implementation by bringing up irrelevant issues such as wheelchair access to the trails. Barshov pointed out that these issues were not germane to easement. In the end she relented and seconded the motion as is a habit of hers. Roensblum really doesn't do any work on anything. She presents reports from the Recreation Committee and the Library. So she always likes to get a little press by jumping in seconding motions. She is good at public relations.However, anybody who has observed her participation on the town board is keenly aware that she doesn't have a clue about most issues. Before the Barshov presentation Planning Board chair Paul Shultis Jr. tried to present another bogus road block to the signing of the easement by presenting a resolution that the entire Comeau should be surveyed before any action is taken on the easement. Fortunately, Brashov was able to show that that was another totally irrelevant action . Both, Rosenblum and Moran have been successful in delaying the implementation of the Comeau Easement for the last 18 months. 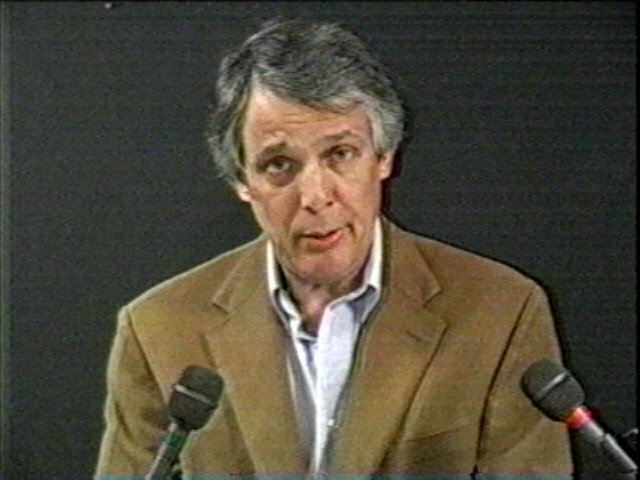 Moran with his "I control the agenda and his I am the chief executive officer (which he is not)." and Rosenblum with her irrelevant concerns. Now that it has become apparent that all the bogus concerns were shown to be just that, bogus. Barshov was able to show that all the issues raised by the usual suspects were false. Of course they will claim that they were for the easement to begin with. What Party do You Identify With? Jeff Moran the current Town Supervisor lost the Democratic party nomination in the September primary to incumbent councilwoman Liz Simonson. Immediately after he attend the Republican caucus and accepted the nomination as their candidate for Woodstock Supervisor He then resigned from the Woodstock Democratic Committee(WDC). McKenna Transfers $1000.00 to Jeff Moran's Campaign. After the Democratic primary McKenna a member of the WDC and a Town Board candidate has transferred $1000.00 from his campaign fund to Jeff Moran's campaign fund. Of course Bill as well as his running mate for the other town seat Cathy Magerelli. won't need any campaign funds as they have the Democratic, the Working Families Party and the Republican ballot lines in November. There is really no election for the two town board seat in November as the there are no other official candidates. They are running unopposed. Is McKenna in Violation of Party Rules. However, for McKenna as a member of the Democratic Committee and its official candidate, the question is. Shouldn't he be supporting the Democratic candidate for Supervisor, Liz Simonson? The primary purpose of the Democratic Committee is to support Democratic candidates. It seems these so called democrats really have no principals. Isn't against the rules to work against your own Party's candidate or are you still a republican? Another question. This one for Jeff Moran. When are you planning to update your financial disclosure filing with the NY Board of Elections? So far your expenditures for this current campaign have not been filed and your current contributions report is not up to date. Bill Mckenna's $1000.00 does not show up on it. Let's hope as the Town's chief fiscal officer your required filings on behalf of the taxpayers of Woodstock are up to date. McKenna claims the NYS Board of Elections(BOE) never sent him his filing information, although one would think as a candidate several times over he would have known that he was responsible for filing. We checked with the state BOE and they informed us that his filing number C58797 was issued on 9/15/09 way beyond the required date. He missed several filing dates. "The dog ate his homework" just doesn't hold up. When we contacted the Ulster County BOE and inquired about his filing status we were told that he had brought them some paperwork but had not yet officially filed. When we checked the NY BOE a couple of days later his Contributors and Expense Report were posted on the NYS BOE website. Although as a group, the progressives (the outsiders) polled more votes (901) than the reactionary democrats (self appointed) (879) in the primary, no one progressive candidate was able to garner more votes than their opponents. The loss was attributed to the fact that there were three progressive candidates running for two seats. They split the vote. One sad aspect of the town Council race was that incumbent councilman Chris Collins was defeated due to the split vote. Chris was a champion of the Comeau Easement, the Water Protection Law and protecting the Bearsville Corridor from development. One bright spot was the Supervisor race. Jeff Moran the incumbent and self appointed committee candidate was trounced by Liz Simonson (an outsider incumbent councilwoman) 561 to 445. Why Isn't Bill Filing the required Reports? All the other candidates who bought advertising have filed their primary disclosure reports except Bill Mckenna. This is not the first time that McKenna has not filed the required reports on time. When he ran on the the now defunct Woodstock Party line he did not file his report until long after the election. Does Bill have some unnamed individual who is secretly bankrolling his campaign? Someone who is pulling the strings from behind the curtain. Could it be someone who uses unauthorized email lists? Bill comply with the law everyone else has. What is it that you are hiding? The Domain Name LIZISNTQUALIFIED.COM registered to Woodstock Politics PO Box 245 Woodstock 12498 with a contact phone number 917-627-0077 and a contact email address of LIZISNTQUALIFIED@AOL.COM. That email address was the same as the originating address of the scurrilous unsigned email that was sent to the Woodstock Democratic email list. Does this fact implicate the Woodstock Democratic Committee in this fiasco? Why was this person given access to the email list to attack another official Democratic candidate? I think the Woodstock Democratic Committee owes the town's democrats an explanation. If you want to know who this person is a just dial the contact number 917-627-0077 and ask them. Maybe they will be less cowardly (they didn't sign the email) this time and tell you who they are. We know. dm UPDATE: The purpartrator according to the Woodstock Times is story Greg Stanton . Has the Woodstock Democratic Committee Foisted an Email Scam on Woodstock Democrats &Volunteers? After a recent town board meeting with the Woodstock Land Conservancy (WLC) concerning the long awaited easement on the Comeau, the question of selecting an attorney came up as to who would be the attorney to determine if the WLC's requested change to the easement was substantial. The Woodstock Planning Board has submitted proposed zoning changes to the Town Board that indicate substantial changes that will effect the quality of life for the residents in he Bearsville flats and corridor. They have also proposed a sewer line out to Bearsville to facilitate the development of the area. That will be an extra tax burden for the home owners in Bearsville. What is wrong with this sign? We thought it was a debate between Supervisor candidates. Has the Woodstock Democratic Party Foisted an Email Scam on the Woodstock Volunteers ? A item on the Woodstock Democratic committee's recent campaign finance filing Schedule D Show an item of in-kind contribution of an email list from Greg Stanton. He is the person who organized the Woodstock Road cleanup earlier this year. He is also on Jeff Moran's reelection campaign committee. Right now there is now being circulated a scurrilous unsigned email in the tradition of the nefarious SWIFTBOATERS, attacking Jeff Moran's opponent for Supervisor. In the past Mr. Moran has used surrogates to SWIFTBOAT his opponents by email and letters to the editor. Let us hope that he is not behind this vicious unwarranted attack where the perpetrators are so cowardly that they don't want you to know who they are. 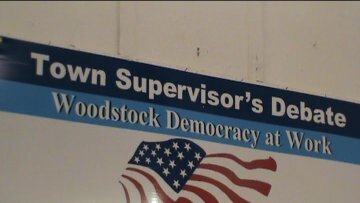 The Woodstock (un)Democratic Committee (WDC) in an unprecedented move voted to do away with the more democratic process of a town caucus and go to a primary. The WDC then voted for themselves to be the official candidates of the Democratic Party. Several members of the WDC have been appointed by their cronies rather than elected by the voters in their districts. Jeff Moran voted for himself as Town Supervisor, as Bill McKenna (former Republican councilman) and Cathy Magerelli (WDC treasurer) also voted for themselves as candidates to the exclusion of sitting Democratic members of the Woodstock Town Board, Liz Simonson and Chris Collins. There are two other Candidates who were ignored by this biased process, Ken Panza and David Lewis. The vote wasn't unanimous, there appears to be a minority of members (2 or 3) of 18 with a conscience. In place of a town caucus where several hundred democrats usually come out to choose from a variety of candidates, we now have a situation where Democrats no longer have that choice. The choice has been made for them by a little more than a dozen insiders. Of course the idea is to isolate and squeeze out the progressive members of current Town Board. They are councilwoman Liz Simonson, who has been reelected 3 times to the Town Board and is challenging Jeff Moran for Town Supervisor and Chris Collins who is up for reelection and has been the point man on preserving the Comeau, the Comprehensive Plan, the Water Course Protection law, and other environmental issues. Other challengers to the insiders are Ken Panza a frequent critic of Moran and the WDC and David Lewis an environmentalist and former candidate for Supervisor who lost to Moran at the last caucus by 6 votes. . The primary by the way will cost the town's taxpayers several thousand whereas the cost of the Caucus was borne by the WDC. The primary serves two purposes for the WDC first, it allows them to control the process. Already, they are claiming that their candidates are the "Official candidates of the Democratic Party.." That of course is simply not true, the outcome of the Primary will determine the Democratic Party's candidates. The second reason is that their treasury probably couldn't support a caucus and a campaign pushing their candidates. A primary actually limits ballot access for a candidate. It requires a candidate to go out and collect signatures of 5% of the registered Democrats in the town. As of May there were 2732 registered democrats in Woodstock. The process is open to many minor technical challenges by opponents. The fact is, expect for major races, primaries are usually ignored while caucuses turn out several hundred democrats. In a caucus a candidate only needs to nominated and seconded by registered democrats. The assembled democrats then vote for their choice.. The process is inherently more democratic in that access by potential candidates is open to all. A candidate does not have to be a registered democrat.. If the letters to the Woodstock Times is any indication a great many democrats are already suspicious of the WDC and their shenanigans and motives. There have been calls to registered democrats on behest of the WDC asking for email addresses. Many democrats have refused to give their email addresses as it seems that they will be used to influence the Primary. Also, members of the WDC have access to the Town's volunteer lists Recently had a yard sale at the Zena firehouse where the signage didn't even mention that the sale was to support the WDC. After a recent town board meeting with the Woodstock Land Conservancy (WLC) concerning the long awaited easement on the Comeau, the question of selecting an attorney came up as to who would be the attorney to determine if the WLC's requested change to the easement was substantial. The WLC wanted an amendment to set up an oversight committee to act as a go between the town and the WLC. An opinion was needed to answer the question if that was a substantive change to the easement. Chris Collins said he wanted Steve Barshov to be the attorney as he was the one who successfully defended the town against the lawsuit by LaBarbra contesting the easement.. Supervisor Moran wanted to use the Planning Board attorney. During the back and forth Moran intimated that Barshov was a "Park Ave lawyer" who at the request of Chris Collins for a clarification on a section of the easement charged the town $10,000 for a six page opinion. Of course; all reactionary motor mouths on public access .Channel 23, including candidate Bill McKenna jumped on that one and accused Collins of wasting taxpayers money.. As usual they didn't have the facts. During the debate Collins made a motion to hire Steve Barshov as the attorney to make the determination. It was seconded by Simonson. At this point Moran jumps up and says the meeting is adjourned. He is seconded by his sidekick Rosenblum.. Simonson points out that there is a motion on the floor and the meeting cannot be adjourned until the motion is acted on.. Supervisor Moran's sidekick Rosenblum leave and the three remaining board members vote to hire Steve Barshov After Moran walks out of the meeting he then emails the Planning Board attorney that she has been hired to render an option on the amendment to the easement. Fast forward to the next town board meeting. At the next meeting Councilman Collins brings up the supervisors mischaracterization that in effect, his request for an opinion on the easement cost the Town $10,000 for a six page document by some high priced Park Ave. attorney. Collins demanded to know how the Town's chief financial officer came up with the figure of $10,000 when the documentation clearly showed that the charge was actually $750 and that any other were for the Laborer law suit against the Town.. Moran was not able give a satisfactory answer. It has to make you wonder who is checking the Town's finances? 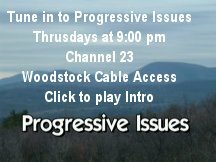 Complete unedited Town Board Meetings can be streamed by going to Woodstock Video archives then clicking on the OUSTER logo. You may start at any point in the meeting by dragging the timeline indicator to the point you want to play after the file is loaded..
Special Light Industrial (Alan Ferrite) Districts. 1) Less intense use of the land: Commercial uses are considered less intense than industrial uses. As this LI district is located within the town's welded area, less intense and potentially polluting uses should be encouraged. 2) Loss of LI uses: The Planning Board is concerned about the loss of employment opportunities within the town. Discussions with local Realtors, brokers and property owners lead the Board to believe re-establishment of new, green and innovative light industrial uses is unlikely outside of an Enterprise zone.The potential for unwanted but allowed uses exists, It is hoped that by opening up more land for commercial redevelopment that future job opportunities will be created. 3)Potential residential development: Residences are not allowed in LI zones but allowed in NC districts. The rezoning will allow for the potential to create additional affordable housing in this location along with mixed neighborhood commercial uses. See the attached maps for rezoning map changes. 20 yrs to accomplish this. The proposed action would be a decisive action. include Town Courts and Police Departments: Town Offices are a permitted use within the Elna Ferrite Special Light Industrial District according to the present Schedule of Use Regulations. Town courts and police stations are prohibited from the SLI. When the Schedule of Uses was modified to include all municipal uses the Planning Board made a decision to restrict courts to the center of town. The philosophy was to keep these essential services centrally located and not allow new structures to sprawl further into the R3 zones. This thought was in keeping with past comprehensive plan suggestions. While the Board still agrees with this goal it feels that the reuse of an existing structure does not violate this principal and is therefore not opposed to the modification to the court restriction. Allowing a police station in one Special Light Industrial zone does not appear have a "downside" either. The Progressives lost control of the Woodstock Democratic Committee to the so-called "Open Meeting Slate." Some of members of the "Open Meeting Slate" ran on the Republican line against Democratic candidates elected at the official Democratic Caucus. They ran on the platform that the previous Committee was closed to the public and that they wanted "open meetings." It should be noted at the organizational meeting of the new committee the "Open Meeting Slate" members wanted to bar the public. However, the old committee rules stated that the Committee meetings were open to the public. After a heated discussion and over objections of Terrie Rosenblum and Sam Magarelli the public was allowed to stay. After "Open Meeting Slate" victory in September they announced that they will run Republican Candidates on the Democratic line. It must be payback time. Adding insult to injury, at the very next meeting of the "Open Meeting Slate"the Committee met in executive session before the "public" Committee meeting. So much for open meetings. It looks like much of the important work of the "Open Meeting Slate" is going to take place behind the curtain. Subsequently, at their second Committee meeting the "Open Meeting Slate" the new chairperson, Terrie Rosenblum, barred Michael Veitch from video taping the meeting. That seemed strange as they had their official videographer taping their first meeting. The previous (Progressive) Committee permitted their proceedings to be video taped. It is a question of what they want the public to see or not to see. If they control the media they control the perception of how the public "views" the Committee. It appears that their demand for open Committee meetings was a political gimmick to get elected. They got elected under false pretenses. Now that they control the Woodstock Democratic Committee there is no need for transparency. It's business as usual. Whatever the rest of the world's misconception of Woodstock is, the political reality is that it's town government is controlled by a reactionary group of insiders. There of course has always been a vibrant community of artists, musicians, craftsmen and counter-culture figures and political activists. While they have had, from time to time, a minority representation on past town boards they never had political control except for short period in the late eighties. This last elections has seen one progressive and a centrist, who from time to time voted with the progressives, defeated in the last election. There is still one old time progressive on the town board. The newly elected board has adopted rules of procedure to silence and punish him. The new town board has changed the town boards rules of procedure to deprive the progressive councilman Wenk of any meaningful voice on town issues. They also voted to do away with the health insurance buyout provision for town board members. Councilman Wenk a decorated (Silver Star) WWII veteran wanted the buyout so he could pay for his supplemental insurance. The buyout would cost the Woodstock taxpayer $2500 dollars. For councilman Wenk to take the town provided insurance would cost the Woodstock taxpayer $5000 dollars. The buyout would actually save the taxpayer $2500 dollars. It should be noted that other members of the Town Board, Supervisor Moran, councilpersons Rosenblum, and McKenna take the insurance at a cost to the Woodstock taxpayer of $10,900 dollars each for a total of $32,700 dollars. Councilperson Magarelli declined the insurance. As a retired school teacher she already has a taxpayer supported health plan. So why are they intent upon denying Councilman Wenk the buyout when it would save the town money? The only answer is to punish. Through manipulation of the political process the reactionaries have been able to game the system. Their first move was to take over the Woodstock Democratic Committee (WDC) from the progressives. When they gained control of the WDC the first order of business was to bar video taping of the proceeding and not record how a member voted on an issue. When the current Supervisor, Jeff Moran, after a swift boat type campaign, won the nomination in previous caucus by the slimmest of margins they moved to change the caucus to a primary. They then voted to endorse themselves as the official Democratic candidates. coordinator was exposed as the author of an unsigned scurrilous email attacking Simonson. How those email addresses were obtained is another story of deceit. Letters to the editor were filled vile missives from the Moran administration's appointees, past and present as well as current member of the WDC. It should be noted that self-appointed WDC candidates had the Working Families endorsement sewed up long before the election. The working Families Party is not run by Working Families enrollees. It is controlled by enrolled Democrats. It is a sub-set of the Democratic Party. With Republican and Working Families endorsements Moran was able to defeat Simonon. It of course was no contest for the other self-chosen WDC candidates as they had three major party lines on the ballot. Councilman Chris Collins ran a respectable write-in campaign getting over 750 votes. Anyone who has ever tried to cast a write-in vote on the current voting machines knows what a challenge it is. Lets hope this administration doesn't sell the Comeau out from under the Woodstock Land Conservancy. In an deflection attempt to smear councilman Jay Wenk , Two members of the Woodstock Democratic Committee, Fran Breitkopf and Gorden Wemp, wrote letters to the Woodstock Times casting aspersions about his honesty and openness. He questioned McKenna's motives in transferring $1000 from his campaign the to the now Republican candidate for Town supervisor Jeff Moran one day after Moran accepted the Republican nomination. Fran Breitkopf wrote "where did the funds that you received when you were running for office last time come from? You know, the $1000 that you reported having come from a Comm. for Woodstock's Future at an address that doesn't exist with an organization that is unknown, that has been reported to the State and is still under investigation? How does all of this jive with your talk about your love and need for total transparency? " Then Gorden Wemp writes in the same issue . "The irony of Jay's attack is he still has not answered questions pertaining to the $1000 his campaign for town board accepted two years ago from the Committee for Woodstock's Future, the shady political organization that to date has failed to file the required report to the New York State Board of Elections. " Jay who is not up for reelection has filed the required reports as to where the money came from ad how it was disbursed You will notice almost identical phrases in both letters as if they are from Karl Rove's play book. The idea is to deflect the questionable transfer of $1000 and the fact that McKenna was out of compliance for more than a month and only filed because of pressure from this web site. Also, in his last campaign of several years ago he filed long after the election. The other non-filing not mentioned was the WDC's rigged selection for supervisor, Jeff Moran, who was defeated by Liz Simonson. Simonson was chosen by the Democratic voters of Woodstock in the primary over Moran. Of course the Democratic voters choice matters little to the WDC they have been doing all sorts of under handed tricks to defeat Simonson. The purpose of the WDC is to elect Democratic candidates. That is their purpose. Well, the $150 that they spent for an ad really doesn't cut it. They have well over a $1000 in their coffers. Record last updated on 20-Jun-2009.